Breathing is something most of us take for granted. I know I did. But when your lungs do not provide the air you need, your body is limited in what it can do. 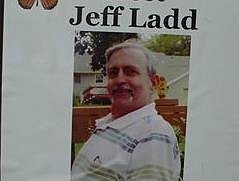 This is what has happened to my loving husband, Jeff Ladd. 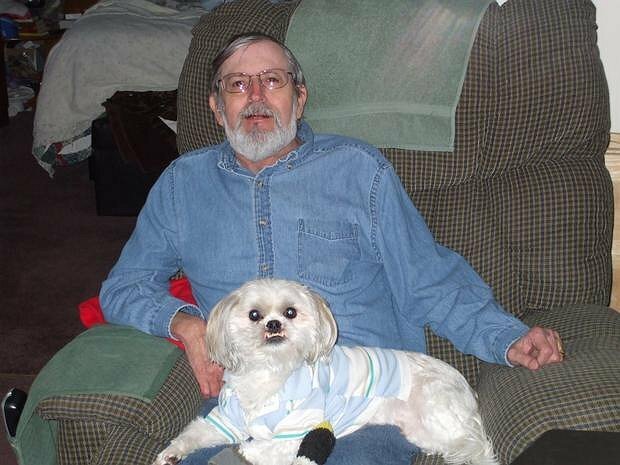 In 1999 Jeff was diagnosed with COPD and emphysema. He is no longer able to work or do many of the things he has always enjoyed. 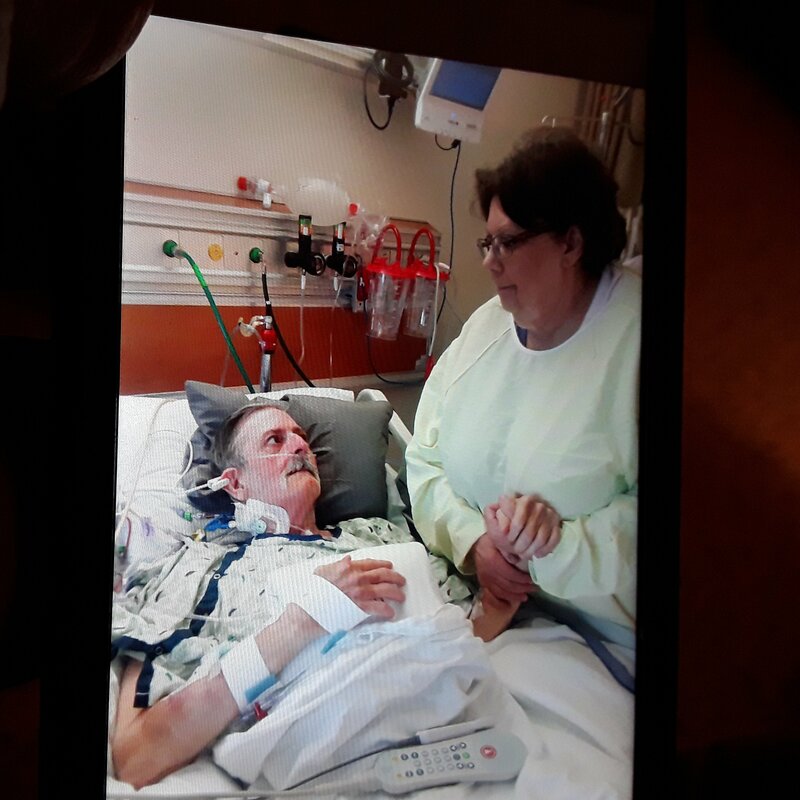 His health has declined to the point that his doctors at the University of Michigan Medical Center have told us that his only option is a life-saving lung transplant. This brings me to the purpose of my letter. Organ transplantation is life-saving, but expensive. Even with insurance, there are many expenses that must be paid out of pocket. Some of these are co-pays, deductibles, and Jeff will be on a life-time of expensive anti-rejection medications. This is where your help is desperately needed. 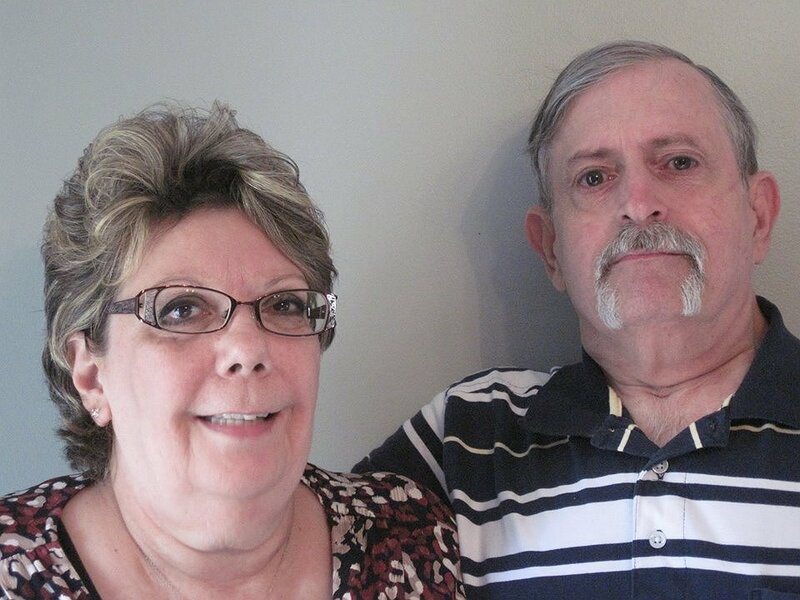 To help ease this financial burden, a fundraising campaign in Jeff’s honor has been established with Help Hope Live, a nonprofit organization that has been assisting the transplant community for over 30 years. All donations are tax-deductible to the full extent allowed by law, are held by Help Hope Live in the Great Lakes Transplant Fund, and are administered by Help Hope Live for transplant-related expenses only. Please consider making a contribution today. Your support is crucial! A fundraising committee has been formed and we are planning several exciting and fun events. Any ideas or help you can give is welcome! On behalf of Jeff, myself and our families, we thank you for your kindness, generosity and prayers. Jeff got his new lungs on sept 26. We are so greatful.We think of his doner and family with greatful hearts and much sadness for your loss. We are no longer listed at U of M. We are now listed for a bilateral lung transplant at Spectrum Hospital. We put a lot of thought into this decision and feel we have made it. We are still fund raising and moving forward every day. 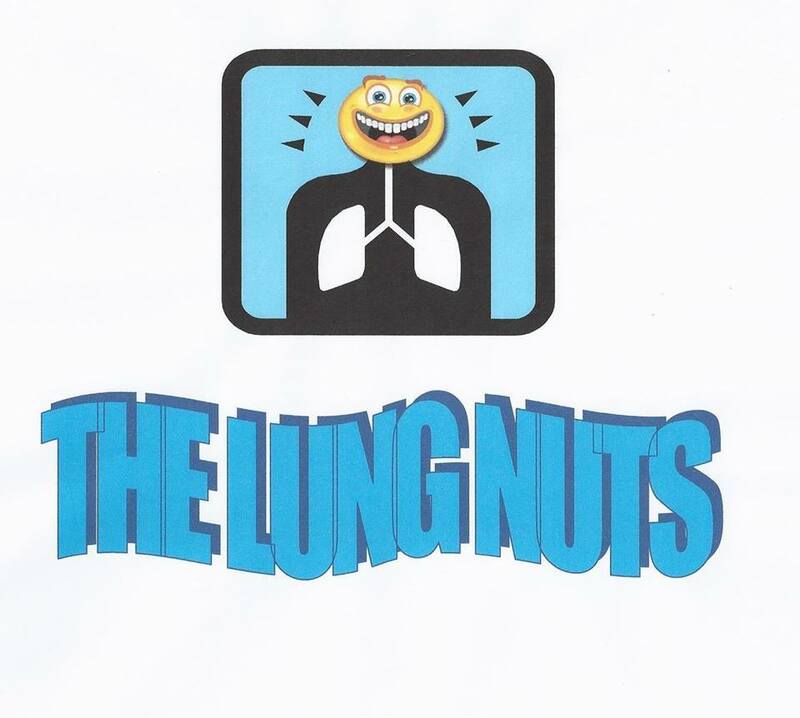 We continue to wait for lungs. This is a very hard thing to do. Keep us in your thoughts and prayers. We are still waiting for new lungs. The time passes slowly. But we have faith that God will provide , in his perfect timing. We are still waiting for new lungs. We pray the time will be soon. I have the unwavering faith that the Lord will supply the lungs in his perfect timing. Please join us in prayer. Happy New Year. Great things happened in the transplant world with FDA approval of Ex Vivo. Thanks to all who have helped us on our journey . Praying 2015 will be our year for new lungs. God Bless. I wanted to share a quick not with everyone who is supporting us on our journey to new lungs. We are currently still waiting. We have looked into Ex Vivo Lung Profusion. Very interesting newer concept in the availability of more donor lungs. I encourage everyone to look it up on the internet and see some modern technology at work. We have faith that we will get lungs in Gods perfect timing. I can not imagine the process without faith. God Bless and keep us in your prayers ! Summer is here and we are still waiting for our lungs. The trans tracheal oxygen worked good for a while. He felt better but we started running into problems long and short of it he doesn’t have it anymore at this time. There have been some major developments in the transplant world. Ex Vivo lung profusion. This is a machine that takes lungs that were marginal lungs , thus unacceptable and make them transplantable. It is complicated but you can read about it on the internet. This will make more lungs available for those that need it. We went to hear the Doctors give a very interesting explanation of it. As we rapidly approach Christmas our thoughts turn to how this year unfolded. We have very grateful hearts, for all the blessings we have received. We have many new friends and supporters. We have seen a out pouring of kindness from friends and strangers be it donations or moral support. God has blessed us in so many ways. Thank you to you all and God Bless! Merry Christmas. Jeff now has Trans Tracheal Oxygen. It has taken some getting use to but we believe its a good change. Its nice to see him without the nose tube. Its well worth checking into if you are a full time oxygen wearer. Its called a scoop. I pray often through out the day that his new lungs will come soon. Faith is a struggle at times, but we know God is with us . We have so much to be thankful for this holiday season. We are working at fund raising . I must add that the generosity of strangers is overwhelming at times. Its a life changing experience to say the least. Jeff is as good as can be expected. He has made one major change. He is now on Trans Tracheal Oxygen Therapy. ( Scoop). So far so good with that. It is quite a undertaking. We will be making weekly trips to Ann Arbor for a couple of months. We ask for your prayers as we continue on this journey. We were notifies by the University of Michigan that the transplant team has officially approved Jeff for a double lung transplant. We are so thankful. God is good! We are praying for you and Shelley. I wish there was more we could do to help from here. We love you! The first time I came here I didn't see the part saying to sign the guestbook. We also will donate as much as we can and will do whatever we can for all of you, you just have to yell (no, not at me, lol). I love you big brother and am keeping you in my prayers constantly. Jeff, I'm so sorry you have to go through this. Stay strong I love u cuz. Prayers, I will help out ad much as I can . Hugs Becky ladd sandy. You know I will do whatever I can. Stay strong! Know we're all in this together. Love you. Im sorry your sick. I didnt know until this evening when I seen the post. I will donate as much as I can as Often as I can. I Love You.